Are you still locking and unlocking your business or facility with a standard lock and key system? How are you able to track keys? What if a key goes missing or is copied? It’s extremely expensive to change the locks on commercial buildings. With a KANTECH access control system you’ll have a level of control that conventional lock and key cannot offer. If you operate a facility or commercial building where employees are coming and going frequently or where access needs to be tightly controlled an access control system can provide you with the trackable security you need 24/7/365. A well planned out KANTECH access control system will allow you to control and monitor all of your entry points including external doors, internal doors, restricted areas, elevator floors, parking garage doors, warehouse doors, parking gates, and more. ProActive Integrated Security Ltd. is a full service security system company serving Greater Vancouver and the Lower Mainland. We specialize in the design and installation of access control systems using products and software from KANTECH. Our trade certified technicians are experts on access control systems and we can design and install your system to secure facilities of any size including multiple location installations. We can seamlessly integrate the KANTECH system into your existing network. If you are in charge of security for a large facility or manage the security for several commercial buildings then determining how to properly secure them isn’t a decision to be taken lightly. With careful thought and design planning the right combination of security features such as access control is critical when ensuring that your assets and employees are protected. A well thought out access control system doesn’t have to impede on day to day operations either, they can actually help improve efficiency. While these systems need to be setup and installed by experts such as ProActive Integrated Security Ltd. they were designed with the end-user in mind. This means the software is intuitive and easy to use. It can be easily integrated into existing security systems. The KANTECH system is also scalable, meaning it can grow seamlessly whether it’s managing the security for a small business of 10 employees or you have to manage multiple facilities across the lower mainland, the province or the country. It can grow with your business. Why Choose ProActive Integrated Security Ltd. To Install Your KANTECH System? 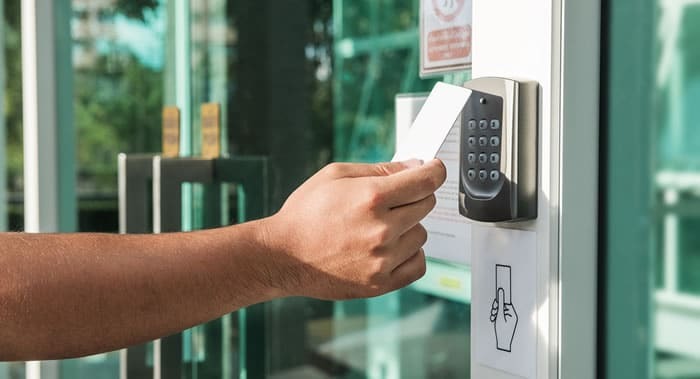 When you choose to place your access control needs into the hands of ProActive Integrated Security Ltd. you’re partnering with a local team of dedicated and knowledgeable technicians who take the safety and security of your business or facilities seriously. We can work with you to design and implement the most efficient method of access control using the KANTECH system. If you’d like to request an estimate for installing an access control system or retro-fitting an existing system from ProActive Integrated Security Ltd. please give us a call (604) 522-2121 or fill out our contact form and someone will get right back to you.